Double and triple digit temperatures, with or without humidity, cause all sorts of problems for humans and pets. Roofing, highway construction and agricultural are just a few industry examples across the northwest where outdoor workers are vulnerable to heat-related illnesses. Heat illness can affect anyone, not just those who work in logging, construction, landscaping, agriculture, field work, or transportation. Environmental factors also contribute to heat stress, such as direct sun, heat and humidity, limited air movement (low or no wind), hot equipment, reflected heat from the ground or objects, physical exertion, workload activity, clothing or personal protective equipment. Start work well hydrated and drink as much as a cup of water every 15 minutes. 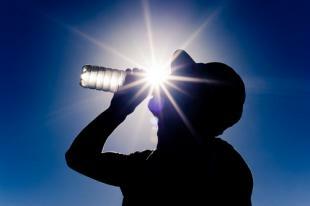 Watch co-workers for signs of heat-related illness, including headaches, dizziness or nausea. Pace your work and take scheduled breaks in the shade. Avoid drinking caffeine or eating a heavy meal.